Thoughts on the CrossFit Regionals. This past weekend was the last weekend. To say it’s bittersweet is an understatement. We, as CrossFitters wait all year for Regionals because let’s be honest, not all of us can or will go to the Games. So, Regionals are the next best thing. We all have our favorites. Favorite team, favorite athlete, even a favorite region. My favorite region will probably always be the East Regional. I have been a part of the event for 6 years in one capacity or another. It’s my home region, the region I started in and will probably always come back to. There is something about the athletes that perform there, they’re gritty and tough. The atmosphere is always electric and it feels like I get to work with my extended family at each and every one of these events. Regionals remind us of how human some of these amazing athletes really are and how super-human other continue to be. I was watching the California Regional last weekend and I was reminded of the super-human capacity of Josh Bridges. Hands down one of my favorite athletes in the game today. The man is a workhorse. This individual is constantly competing against others who are bigger, faster, and stronger yet he has a way of plowing through and coming out on top. Bridges has been in the game longer than most. A former Navy Seal he’s used to his share of adversity. In 2011, Bridges came in 2nd at the Games. Following that banner year, he was unable to compete due to a knee injury and had to miss Regionals and Games. However, he came back with a vengeance and won the California Regional in 2013 and came in 2nd in 2014. 2015 was a heartbreaking year for not only Bridges but his fans as well when he failed to qualify for the Games by one spot. Not to be kept down and one of the reasons I’m one of his fans, he decided instead of being beat he was going to come back and he did so with and exclamation mark by winning the California regional in 2016 and he repeated that again this year. In Josh I see hope. He’s one of the more colorful athletes but beyond that, his determination and his grit are inspiring to watch. I think too often we take the easy way out. We don’t want to do things because they’re too hard. Imagine if we just decided to be ok with a little adversity in order to make ourselves better. That’s what Bridges did, it would’ve been easy for him to say “I had a good run, now I can relax.” Instead, he made the choice to be better and to succeed. He inspires me to be better. 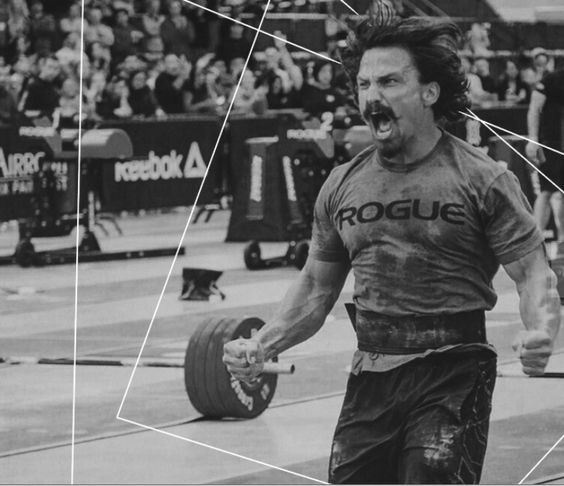 If we didn’t have a forum like the CrossFit Regionals or Games we wouldn’t know about these inspirations. I’m so thankful for that. Until next time. WOD Wednesday… You thought I was going to forget.